In a classic David-and-Goliath showdown, community activists in Peru have forced Newmont, the second-largest gold mining corporation in the world, to abandon its $5 billion Conga copper and gold mining project. At the forefront of local resistance to the new mine, which was intended to replace the nearly-depleted Yanacocha gold mine nearby, is Máxima Acuña de Chaupe, a 47-year-old grandmother who lives off a plot of farmland in Peru’s northern Cajamarca region that would have been used by Newmont to drain a nearby lake to collect mining byproducts. 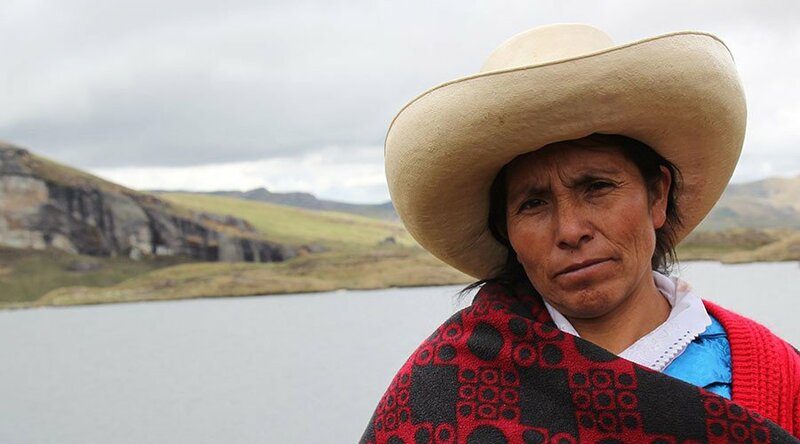 Acuña has been publicly opposed to the mine since it was proposed in 2010, steadfastly refusing to sell her land despite multiple court battles, alleged physical assaults, and having her family’s crops on contested land destroyed. 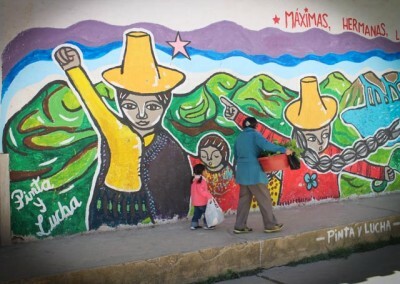 She also says her family has faced at least three violent eviction attempts by the mining company, which were assisted by private security forces and the Peruvian government. “The prize represents an important message of environmental sustainability and serves as a clear wake-up call to the state, businesses, and citizens to establish democratic mechanisms of dialogue and understanding,” Peruvian government ombudsman Eduardo Vega Luna said in a statement. The Goldman Environmental Prize notes on its website that Acuña’s situation is not an isolated incident. While local resistance to the planned open-pit mine is recognized as an important factor in scuttling the project, the company says that the decision was actually made for a number of reasons. However, credit also goes to non-governmental organizations and other locals that campaigned against the mine. Camajarca’s Governor, Gregorio Santos, supported the activists and after violent protests led the Peruvian government to declare a state of emergency, construction was halted in November of 2011. In addition, a crowdfunding campaign in late 2015 raised money to help Acuña buy cows to make ends meet.